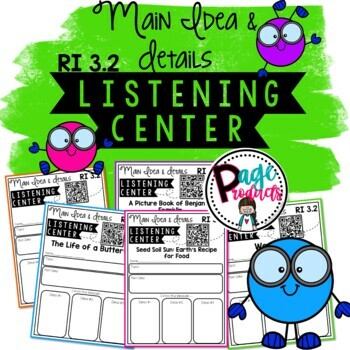 Engaging listening centers, complete with Q.R. 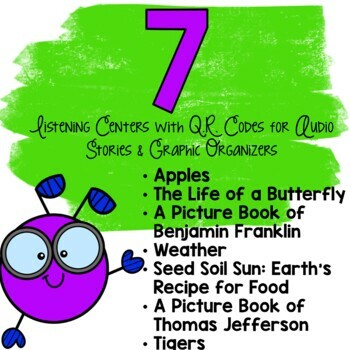 codes that link to video read-alouds of non-fiction text. 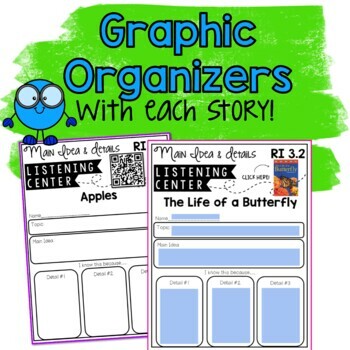 Each story has an accompanied main idea and details graphic organizer to assess student's listening comprehension. Includes 7 stories! *Please note that Q.R. codes are linked to video read-alouds on YouTube.